Set it up in Sweden on an island in the middle of a lake during quiet sunny weather. During the night a heavy storm started and the wind direction had turned, so wasn't set up with the head in the storm. Despite that the tent held up very well and I never feared that it would budge. Was using the storm lines with MSR Needle Stakes as extra. Love it! Welcome to Trailspace, Geert. Thanks for the review of your Seedhouse. I hope you'll keep us posted on how it continues to work out for you. Also, if you have any pictures of it in use, those would be great to see in your review. Thanks for posting Geert. I hope you'll share more reviews. Awesome tent. 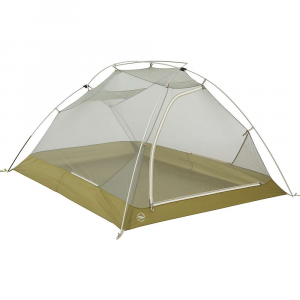 Bought it as a two-person tent for my wife and I. I am 6'4" and have ample room lengthways and head space. Could have gotten a slightly lighter two-person but the tiny amount of weight this adds is well worth the extra room. Best tent I have ever owned. Being tall I suffer in most 1- and 2-person tents. I think the SL3 would do fine for 3 people but, it is a condo for 2. It is a breeze to setup and very solid with even minimum staking. All of the materials are top notch. The stakes are very good. Most of the time you need to upgrade those with a lot of other tents. My only reservation with this tent is that you need to be mindful that it is thin and lightweight. Not a tent for young kids or careless users. Would recommend to anyone wanting more room at the expense of a few extra onces. Welcome to TS, Brian! I'm 6'2" and I can relate to gear seeming a bit small. Best option I've found for two people. Bought this to use as a reasonable 2-man tent. At 6'2" I have enough room sharing the inside with my 5'7" wife. I wouldn't call it spacious, but it is reasonably comfortable for the two of us, and most of our clothing. The reflective accents on the tent and cordage are appreciated at night. 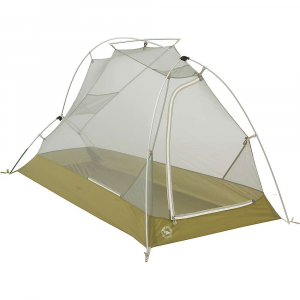 The advertised weight seems accurate, and btw, it is very light for a tent this size. There are are pockets near the bottom on either side of the door, and one pocket above the door, which is a great place to stow a headlamp for use as overhead lighting. One trick we found to increase the comfort in cold weather is to sleep with our heads near the 'foot' end of the tent. It is a bit cramped, but drastically increases the warmth. We've slept overnight this way with the vestibule wide open in 40 degree weather with no complaints. The vestibule is small, but adequate. There is some space to stow gear under the fly on the rear of the tent as well as on the sides. Ease of Setup: Simple clips and eye holes. So I am an avid backpacker and have really enjoyed going lightweight, i.e. a nice bivy sack or just bug netting. However, my friends don't seem to enjoy the same level of excitement. So when I purchased this tent last summer, I kept thinking it would be a great tent for two, but fully functional for three. As it turned out, I was correct. 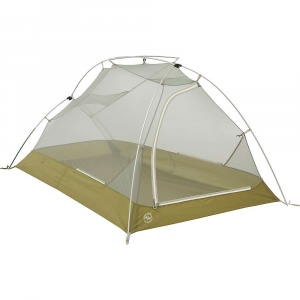 I have used it as a two person tent several times with great success. the lightweight nature of the bug netting has allowed star filled nights on sandy beaches in Northern New York (almost Canada) yet the fly provides ample coverage in New Hampshire spring time thunderstorms. I have read reviews about the bug netting having defects. To this issue, there were numerous bugs squished against the netting on 6/06/08. This did alter the structure of the netting (it wasn't perfect squares anymore). However, by pressing lightly over the misaligned netting, the imperfections vanished. No more issues. This tent does everything I need a tent to do. It has three built in pockets that are very convenient. This tent has performed very well and I would recommend it. 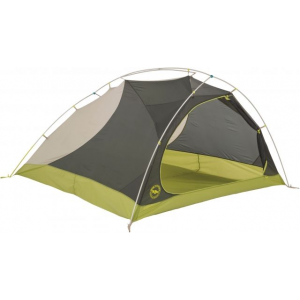 Great tent but like many three person tent it's just an oversized regular two-person tent. The reason I say that is because even though the floor plan may be large the walls slope down considerably, not giving you much room for three people unless you guys are playing cards. Forget about laying three regular Therm-a-rests in there. It will not fit without some serious overlapping. It's big for two people but not quite the palace that you expect when using other three-people tents for two. Another gripe about this product is the mesh is very fragile and will develop snag and tabs on it. In fact, of the four that I set up all of them had several defects on the mesh and I just took the one with the least which had about seven of them which says something about the quality. The tent overral is nothing exceptional in that department and I honestly don't understand why its retail price is so high ($380). The weight is pretty accurate and mine weighs only 2oz above what Big Agnes states. The other thing to consider is that all Seedhouse SL series don't have drip-free doors, so if you are going to exit when it's pouring you better have a very good reason to leave the tent and get the stuff in the door wet. 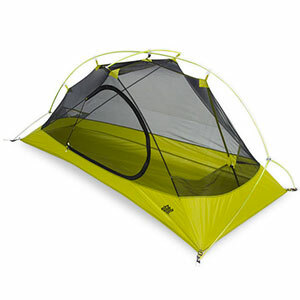 Overall, a good tent with the only thing going for it being the weight, which is lighter than many two people tent. It's plenty large for two people and will let you clutter a lot of stuff in the floor. Seriously overpriced at $380 and even at $250 I considered returning it. I think that I'm in love... Good weather? Take a SL3! I think that I'm in love... Good weather? Take a SL3! It's a bug screen with a fly. What more do you need? Maybe it's a little small for 3 dudes but for a couple of people it's perfect. Not raining?- 360 deg. views w/o bugs. If it's raining - fly is tight and all condensation goes to fly through screen. If there are no bugs and it's not raining... Well why did you bring a tent at all? Plus it's light. Chill out ULers - I didn't say 'ultra-'. With one pole (it uses a two hub design) a monkey could set it up. I gave it a four because the door is a little small and it doesn't carry OR set itself up.